SEGA’s Takashi Iizuka, who leads Sonic Team, thinks that Sonic and the Wii U were meant to go together. He explains that the Wii “created that living room experience with families, and it had great success,” and that “adding the controller, and in a sense upgrading the Wii, [the Wii U] has got potential to further that and increase its customer base.” Because he sees Sonic as a family-friendly franchise, he believes that it’s a great fit for Nintendo’s new console. The Wii was an extremely successful platform. It was totally global. It went into the families that maybe would not have picked up a home console before. It created that living room experience with families, and it had great success. Now, adding the controller, and in a sense upgrading the Wii, it has got potential to further that and increase its customer base. I feel Sonic is the right fit because it is that kind of family experience game. I do feel Wii U is applicable to Sonic. But how we will apply using the controller to Sonic is something we’re still thinking about at the moment. 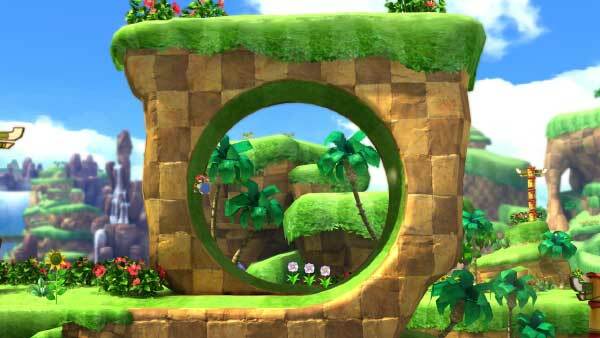 There is no known Sonic game currently in development for the Wii U, and Iizuka debunked the Sonic Dimensions rumour yesterday. But his enthusiasm for the console seems genuine, and I wouldn’t be surprised if we heard an announcement for a Sonic Wii U game in the near future. i hope they make a Sonic game for Wii U that plays and feels similar to Sonic Generations–that way it’ll feel like a Game Gear game when you’re playing away from your console on your Wii U controller. That’d be kinda cool and nostalgic (even though I never owned a Game Gear).